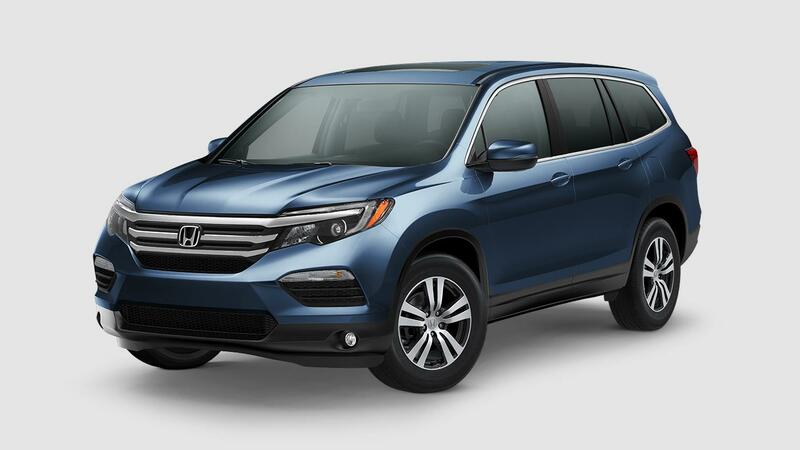 The 2018 Honda Pilot EX-L is the SUV that also functions as a roomy minivan. This well-appointed vehicle has established itself as a family favorite due to its versatility and roomy interior. The striking exterior invites you to come inside and explore the many exceptional features that include superior comfort amenities, modern safety equipment and progressive technology features. Rock Honda is open seven-days a week for your browsing pleasure. Check out our large 2018 Honda Pilot EX-L inventory near San Bernardino and Rancho Cucamonga, CA. We boast an onsite finance department that’s ready to handle every aspect of your purchase when you come in search of your new 2018 Honda EX-L for sale in Fontana, CA. We pride ourselves on providing excellent customer service in the Inland Empire. Stop by today and test drive a 2018 Honda Pilot EX-L near San Bernardino, CA. One thing is for certain; the 2018 Honda Pilot EX-L is laden with high-end standard features. Advanced technology is accounted for in the form of a sizable 8.0 inch touchscreen interface that includes Honda Satellite-Linked Navigation System™ smartphone features and an available navigation system. Supreme comfort comes from standard leather-upholstered, heated front seats, a leather-wrapped steering wheel and a noise-reducing windshield. Enjoy fresh air with the touch of a button with the standard-equipped power sunroof. Modern exterior features include LED running lights, fog lights, automatic headlights and heated mirrors. Keep the troops entertained on long road trips by opting for the available rear entertainment system that comes complete with a Blu-ray™ player and overhead viewing screen, as well as two additional USB ports. 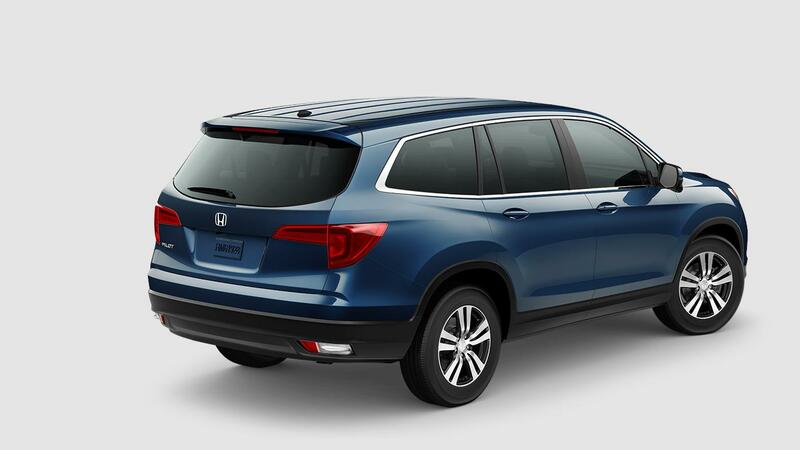 Stop by and see us today at Rock Honda in Fontana, CA, and drive away in your very own 2018 Honda Pilot EX-L. The 2018 Honda Pilot EX-L provides plenty of get-up-and-go to transport up to eight people across town or across the country. This power is provided by a 3.5 liter V6 engine that generates up to 280 horsepower and 262 lb.-ft. of torque when paired with a six-speed automatic transmission. Whether you choose the standard front-wheel drive version or the available all-wheel drive version of the Pilot, you will enjoy being able to tow up to 5,000 pounds. For the safety of you and your passengers, Honda has included a Honda LaneWatch™ blind-spot camera, while offering a lane departure warning and intervention system. Our friendly sales staff here at Rock Honda looks forward to meeting you and your family when you come by to check out the amazing 2018 Honda Pilot EX-L in Fontana, CA.